The JandJ Performing Arts Teen Team receive seventh place for their small jazz performance, Cryin’ Wolf. 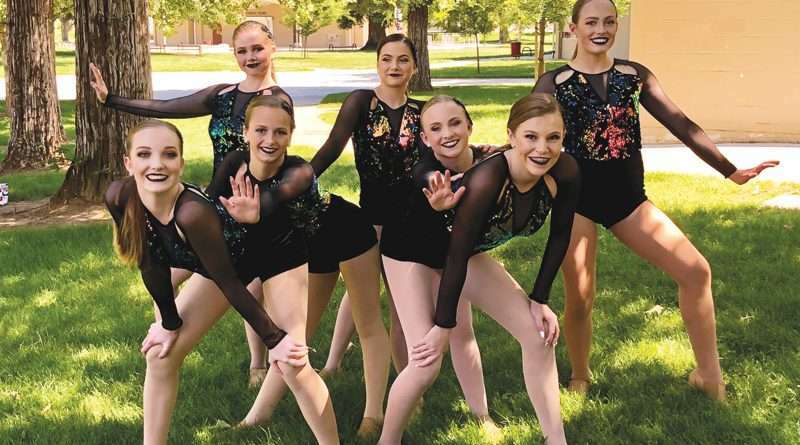 The JandJ Competitive Dance Team completed its competition season last weekend Friday, May 18. The team began its season in November at the 24/7 Dance Convention/ Competition, in Reno, Nevada. There the dancers trained with well-known instructors in the dance performance industry and competed a teen lyrical, Rise Up. Parker Foreman was brought on stage and awarded a Judges Award, Next Level. 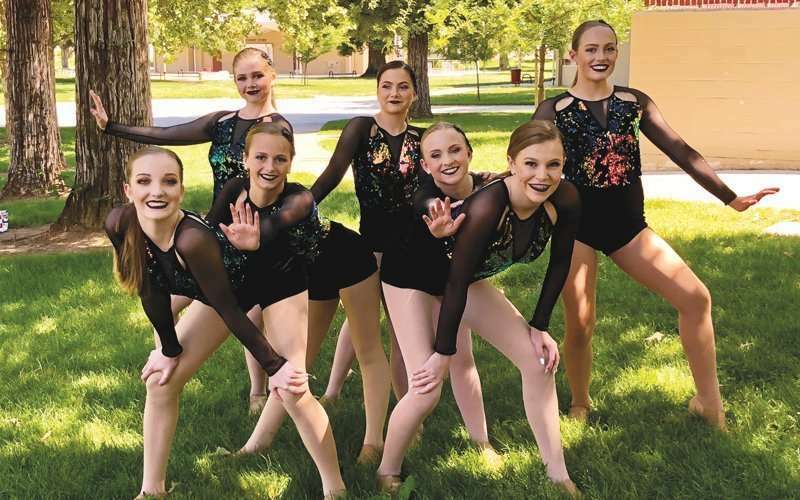 In March, the team went on to Carson City, Nevada, where they competed at Spotlight Dance Cup. Soloist Hailey Gregor was awarded a Diamond award, second in the overall and received a Judges Award for Exquisite Technique. A teen routine Rise Up was awarded seventh out of 19 in the overall with a Ruby award. The juniors, Moves Like Jagger small jazz routine, received a Ruby and one first in their category. Twelve out of 13 routines were invited to their National Competition. 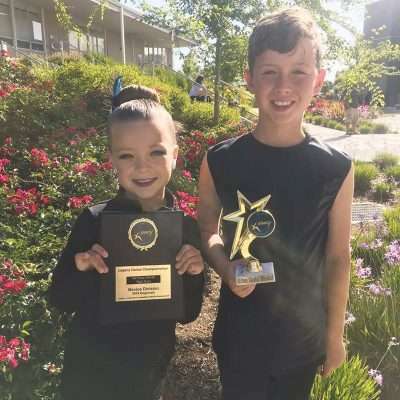 Dance Competition amongst some of the most top ranking dance studios in the western states. There, soloists Taryn Farris and Gregor received invitations to the prestigious NYC Dance Experience. The junior hip hop routine, Let it Bump, choreographed by JandJ instructor Kat Guess, received a Judges Award for Sassy and Funky. Eleven out of 13 routines were invited to Nationals. Lastly, they competed at the Legacy Dance Championships, in Sacramento, California. The junior team took home two first place overalls, with routines Moves like Jagger and Let it Bump, and a second place with a jazz routine, Believer. Soloists Foreman took fourth place with her solo, Look of It, and a duet from Avvan Wade and Grace Steward took third in the overall. Soloists, Farris took first place with her lyrical solo, Hands, and a judges award for, Beautiful Movement. The teen team took seventh place in small jazz, for their performance, Cryin Wolf, and received the “Dancer Dreams” Scholarship award. The team’s first full Acro routine received an Elite Gold and an overall eighth place. Ava Seitz brought home a sixth in the overall and an Elite Gold for her mini solo: Rockstar. All routines were invited to Nationals. The season completed with four national rankings and a slew of awards and invites. Team members include Gregor, Ashlyn Clark, Eden League, Isabel Norwood, Ryleigh Hart, Mariah Beckman, Alyssa Zimmerman, Mary Weekley, Farris, Allie Chandler, Hailey Seitz, Kaylee Micone, Madison Wong, Madison Granfield, Sam Medvin, Wade, Steward, Foreman and Seitz. Directors are Jessica Wade and Ashleigh Adair. The JandJ Team appreciates the support it gets from the community.